RedSplice includes modules for generating real time statistics as well as statistics from the acquired and stored data. 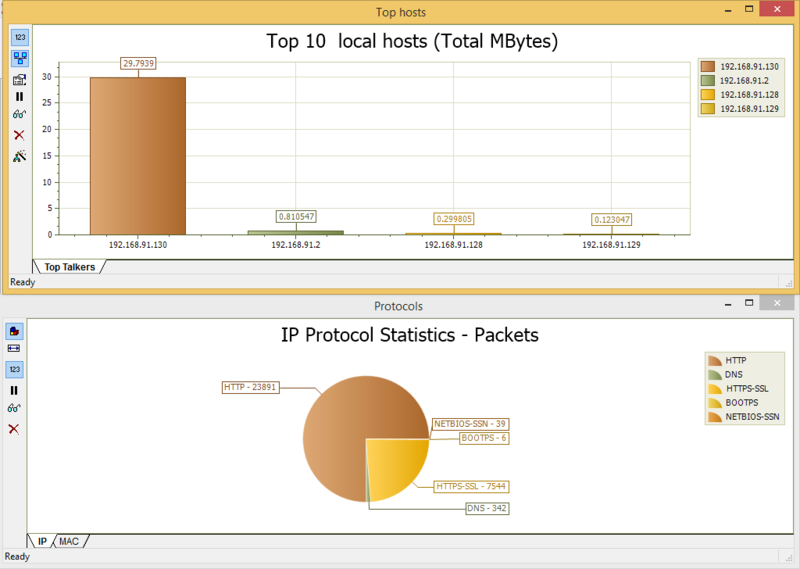 Real time statistics include a bandwidth monitor, top ten hosts by traffic amount, statistics regarding raw packets as well as protocol usage. Statistics module implements a reporting feature for each detected host which allows the user to see details regarding traffic statistics at host level. 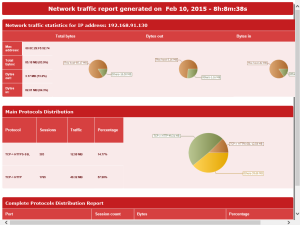 The statistics provided by RedSplice offer support in network diagnostics, identifying bottlenecks as well as identifying devices with suspicious traffic. 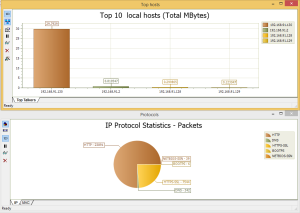 The size distribution statistics helps in identifying whenever there are problems with packet fragmentation ge nerated by network equipment. Bandwidth monitoring is a useful tool for identifying situations where the traffic amount reaches the physical limits of the network, so that the administrator can enforce policies for keeping the quality level in an acceptable range.